And if Amazon's WFM was forced to raise prices, it's likely that other supermarket chains engaged in a brutal price war for consumer favor will soon be following suit - if they haven't already. 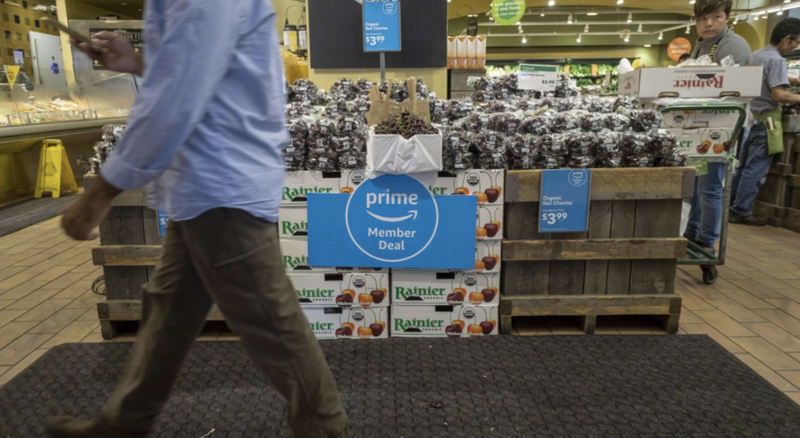 A spokeswoman for WFM said Amazon is looking for ways to continue lowering prices for Prime members. "We also offer hundreds to thousands of sale items daily and we’re continuing to lower prices for all shoppers and Prime members," Whole Foods said on Monday, referring to Amazon’s subscription program. Already, some customers are starting to notice, a sign that the "Whole Paycheck" sobriquet that Amazon had sought to kill by slashing prices immediately after its acquisition might be making a comeback. But don't worry, Amazon investors: Because the company's suppliers are confident their customers will keep coming back, despite paying marginally higher prices (despite WSJ reporting some evidence to the contrary). Michael Bronner, president of California-based Dr. Bronner’s, said the natural-products company is increasing the price of soaps it sells to Whole Foods, Target Corp. , Costco Corp., Walmart Inc. and other retailers by 3%. Prices for the organic, fair-trade coconuts used to make those products have risen recently, Mr. Bronner said, motivating him to pass the higher costs to customers. "People may opt for smaller sizes but they usually come back," Mr. Bronner said. Fortunately for economists, since core CPI strips out volatile food and energy prices, higher prices at the supermarket can be easily ignored. It's just the latest sign that, as we've argued before, the true rate of inflation as consumers experience it has been higher than the official numbers would let on. If WFM is hiking prices, its competitors like Albertson's and other large regional supermarkets are doing the same. 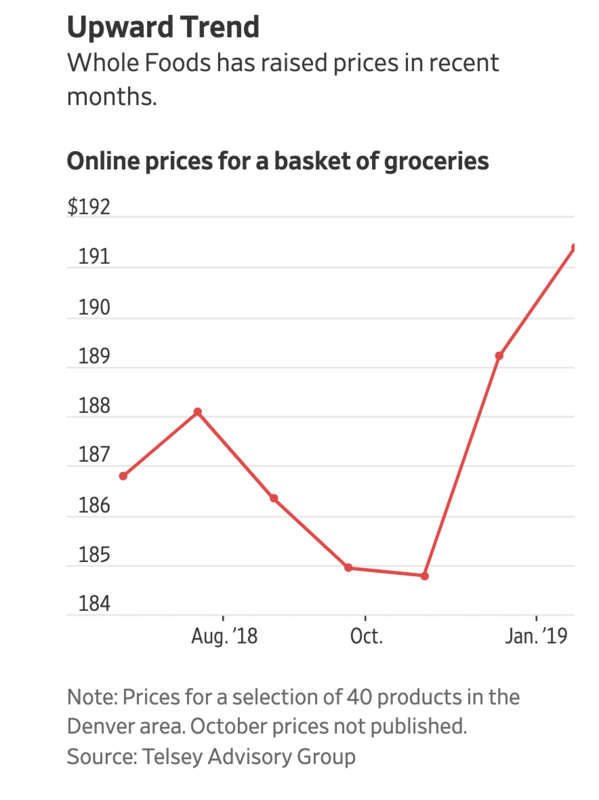 After all, most grocery chains are struggling, low-margin businesses that don't have the luxury of a massive e-commerce behemoth (and lucrative web-hosting platform) to cushion them from losses. And as more economists (including the NYT's Paul Krugman) grow worried about a looming recession, a hit to consumption is just what the US economy can't afford right now.